I cannot get enough Crab Rangoon. 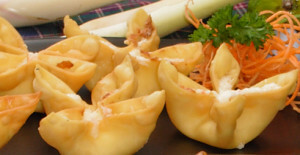 Also known as crab wontons, traditional crab rangoon is made by filling an egg roll wrapper with cream cheese, crab, and green onions, pinching to make a little fan and frying until golden and delicious. So if you adore crab rangoon as much as I do then you will go crazy for this crab rangoon dip, which requires no frying and takes just a few minutes to throw together. 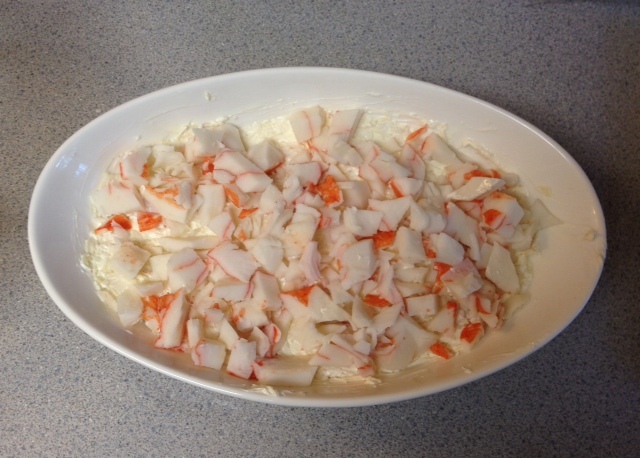 I’ve made it for dinner and office parties, girls’ nights, and potlucks and always gets rave reviews, even from those who claim they don’t care for crab. *This recipe was adapted from a Pampered Chef recipe. 1. 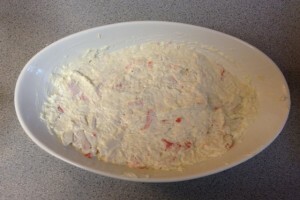 In a small bowl, combine cream cheese, minced garlic, and salt and pepper and blend until smooth. Add half of the crabmeat and swiss cheese and combine. 2. 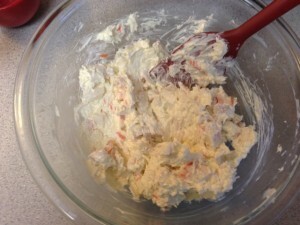 Spread mixture into the bottom of a 1-2 quart baking dish. Sprinkle remaining crab meat over cream cheese. 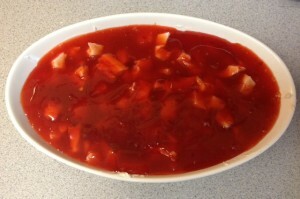 Pour sweet and sour sauce over the top and microwave uncovered 4-6 minutes. 3. 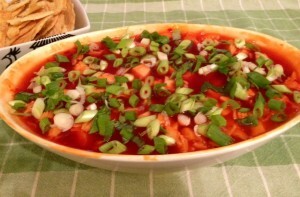 Remove from microwave and garnish with green onion. Serve with pita chips for dipping. There couldn’t be an easier or tastier dip!